Welcome to one of the largest boat chandlerys of Europe, dedicated to the nautical theme. 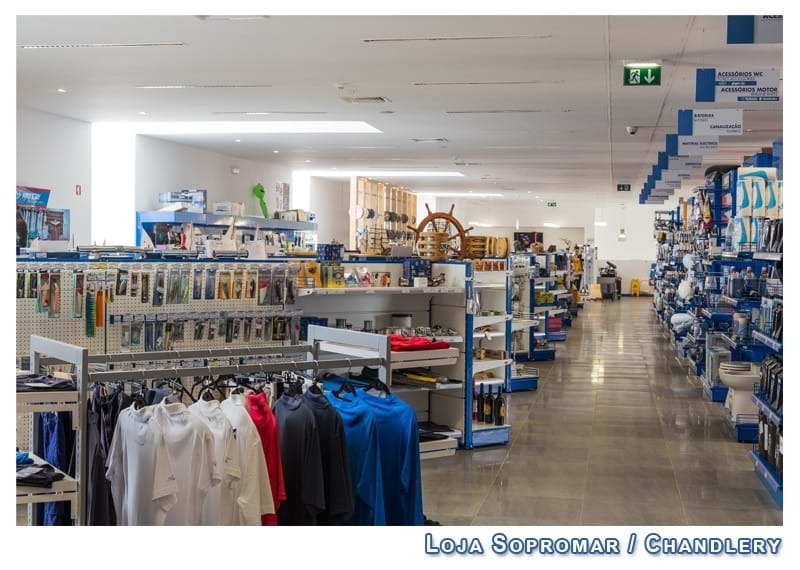 A place where you can find everything for your Boat: From cables to stainless steel accessories, from original parts of the main brands in the market to cleaning items, from cartography to electrical and electronic equipment and much more at your disposal. Our strategy is simple; We try to keep a wide stock in order to provide everything you need, as soon as possible, and with the best prices, focusing to maintain a close relationship on the advice of the best solutions to your requirements. At Sopromar Nautical Center you will find 3 travellifts with a capacity of 35, 50 and 300 tons, as well as a crane for up to 25 tons. Whether it is a lift out for zinc replacement or survey, launching from or lifting to a trailer, or parking a boat in the yard for service or storage, we take pride in our careful handling of your boat. We guarantee the utmost care with your boat. The parking area provides for all vessels cradles, electrical power, water, vending area, restaurant and a laundry for your convenience. During long-term storage, we provide appropriate coverage for exceptional protection from the elements. 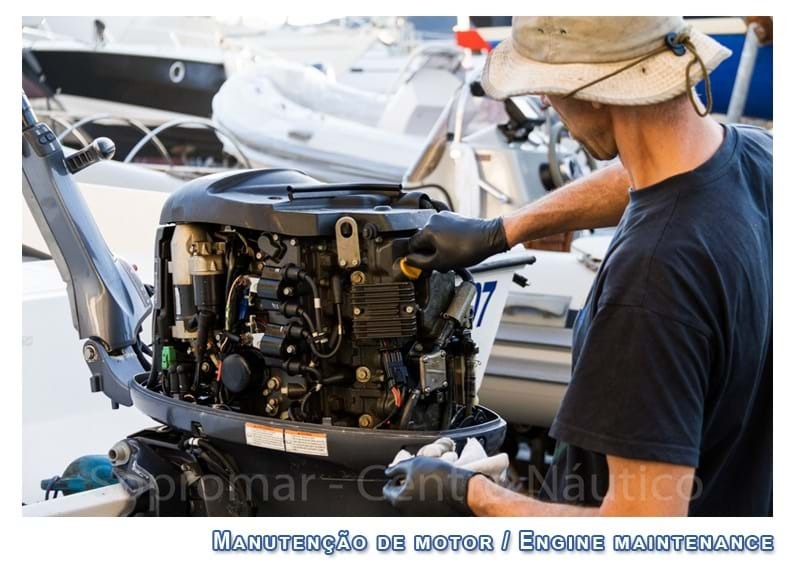 We have excellent facilities and service benches for the repair and maintenance of internal and outboard engines. 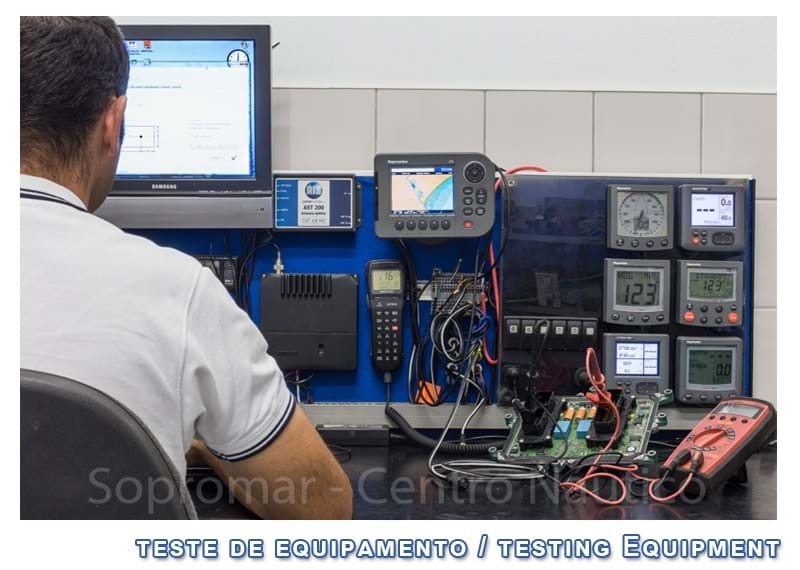 We have qualified and technical personnel in addition to the specific training of each brand, with full access to technical service manuals of our representations. 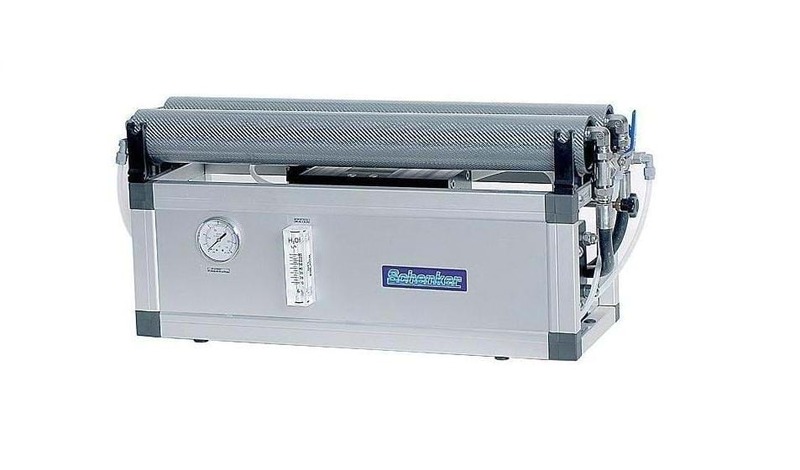 Our workshops are complemented by diversified tools and diagnostic equipment for main brands in the market, as well as pickling equipment appropriate to the requirements. In addition to marine engines, we are also experts in repair and replacement of all ancillary components, such as: propellers, bearings, shafts, seals, and others. We are authorized dealers of Raymarine products and we offer all after-sales service as assembly and repair in GPS, Chartplotters, radar, VHF and SSB Radios, stereo systems, autopilots, radar, Interior and exterior lighting systems, probes, AC and DC systems. Also alternative energy wind systems, solar or hydro, inverters and power Chargers, computer interface systems, and others. Our technicians have training and accreditation from brands as: Raymarine, Simrad, Garmin and Icom. We have particular experience in embedded systems with use of PC`s (portable-inclusive), for data control, communications and data reception, or simple recreation. With several products on display and dedicated staff, we guarantee a top service and the best prices. 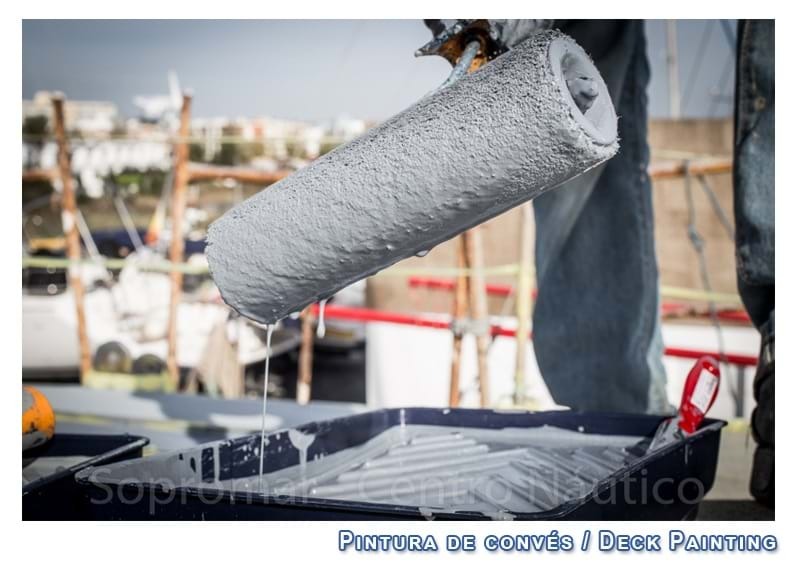 The ideal climatic conditions of its geographic location, makes Sopromar Nautical Center the excellency in execution of painting services. We have greenhouses with controlled humidity and temperature as well as the necessary tools for a high level finishing and brightness. The technique associated with the vast years of experience, following the evolution of technologies and the use of the best products in the market, allow us to provide adequate advice in choosing the most suitable base for your boat, according to the location of use. 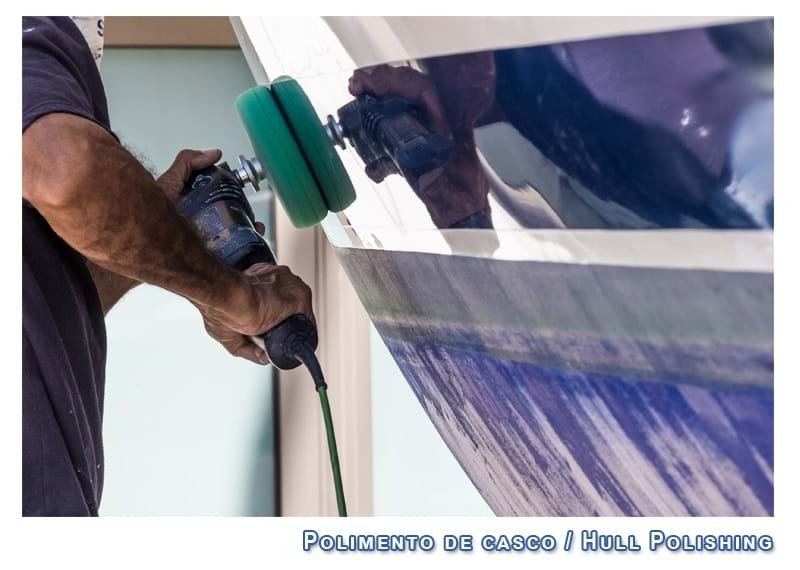 A well polished hull is something that can change the entire appearance of your vessel. 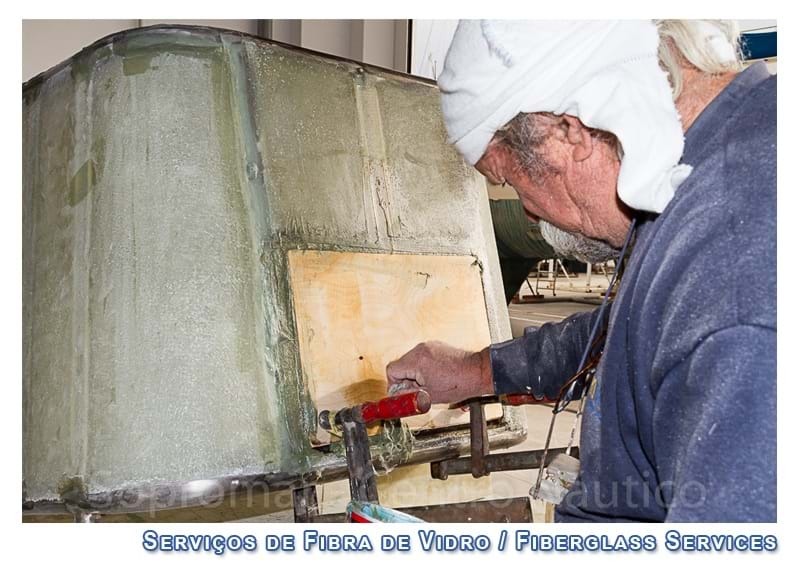 The experience of the technicians in the initial evaluation of the works and the rigorous operation of the equipment/tools during the process, with the correct choice and use of the material to be applied to the polishing of the hull, results in excellence. 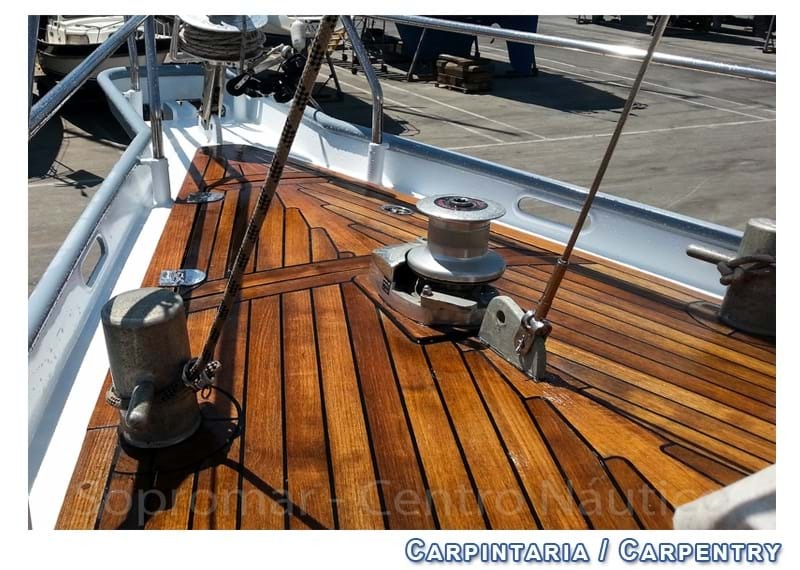 With many years of experience, we have developed a method of polishing that is able to completely change the appearance of your vessel, restoring the worn and burned gelcoat, giving its color and brightness. 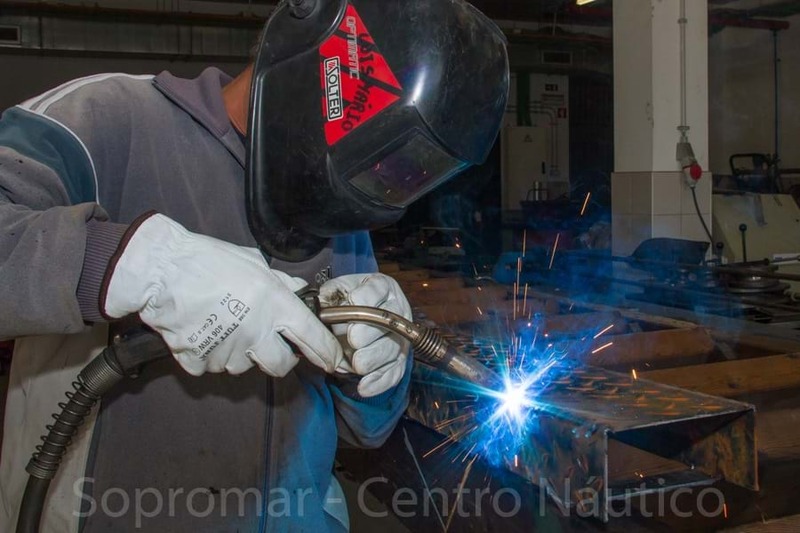 At Sopromar we have qualified technicians, more evolved for ship repair. 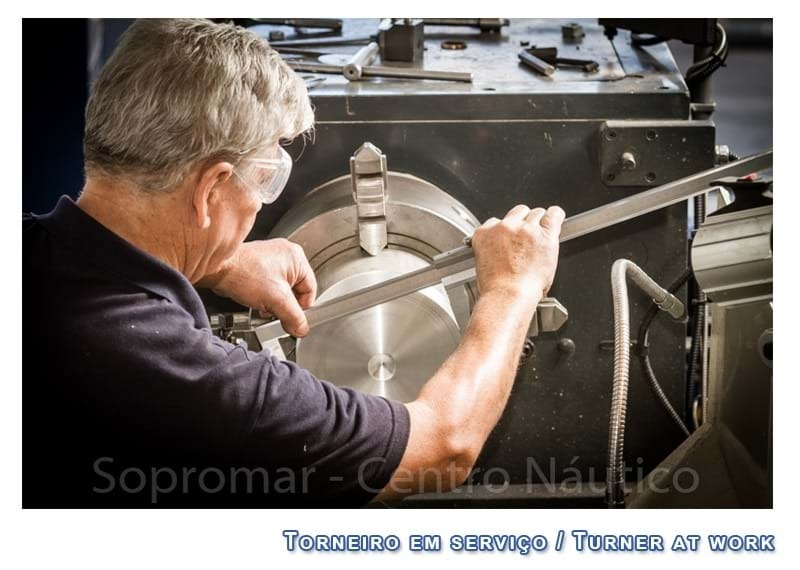 With special equipment and appropriate machinery and tools for shipbuilding and repair, we give response to the most demanding and thorough work in aluminium, iron or stainless steel, from services such as welding, cutting, drilling and polishing, up to manufacturing any structure from scratch. We have experience in the manufacture of handrails, boarding ladders, water or fuel tanks. 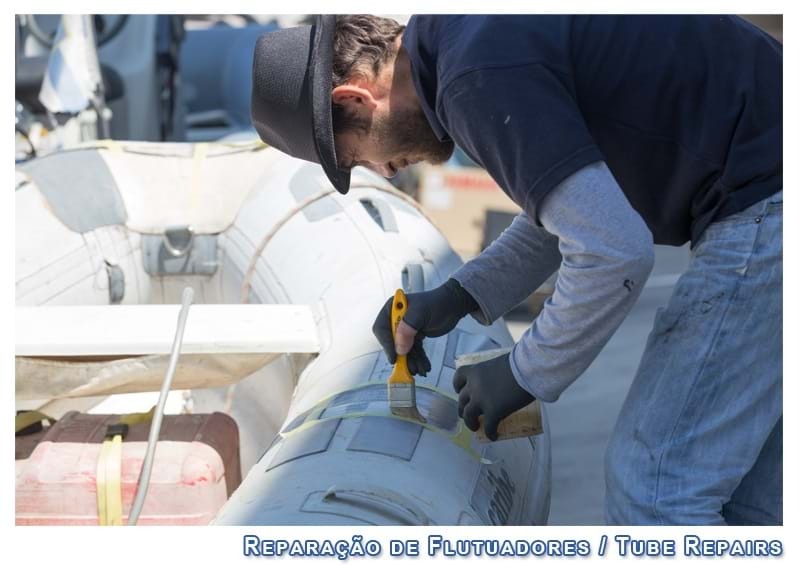 In the machine shop we have appropriate and specialized tools and machinery for reconstruction and ship repair, as well as diagnostic equipment for measuring, calibrating and rectifying various components such as shafts, propellers, rudders and others. Our specialized technicians, with continuous evolution in the area, are at the manufacturing level of parts in case of lack of stock in the factory, or in situations of immediate need, thus overcoming delivery deadlines for the assembly of accessories. From simple to more demanding repairs, scratches and other current usage wear and tear, to splinters and cracks resulting from accidents, our team of technical experts has enormous experience in all aspects, from repairing to the manufacture. 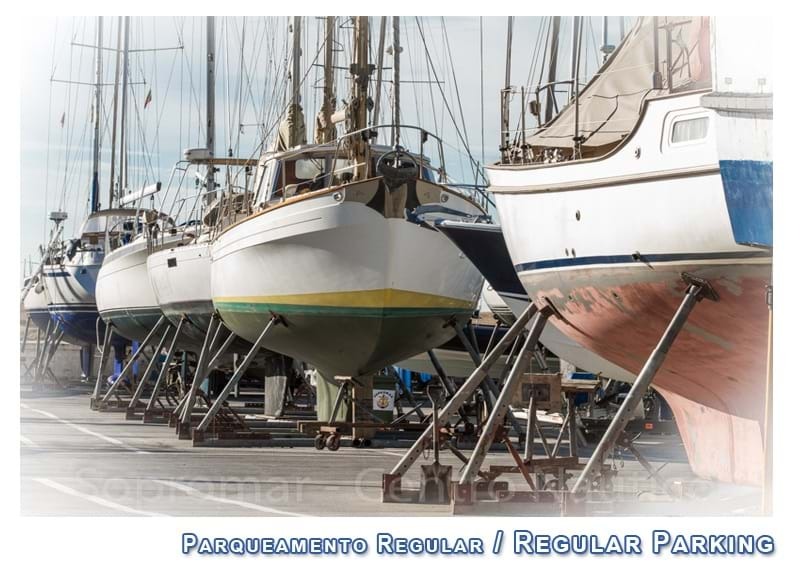 Our technicians are able to restore your vessel`s original structure and rigidity, without neglecting the appearance, maintaining a high finishing standard, and giving your vessel the appearance it had in new. We specialize in reproducing the exact color of your vessel. - Stainless steel fittings manufacturing. 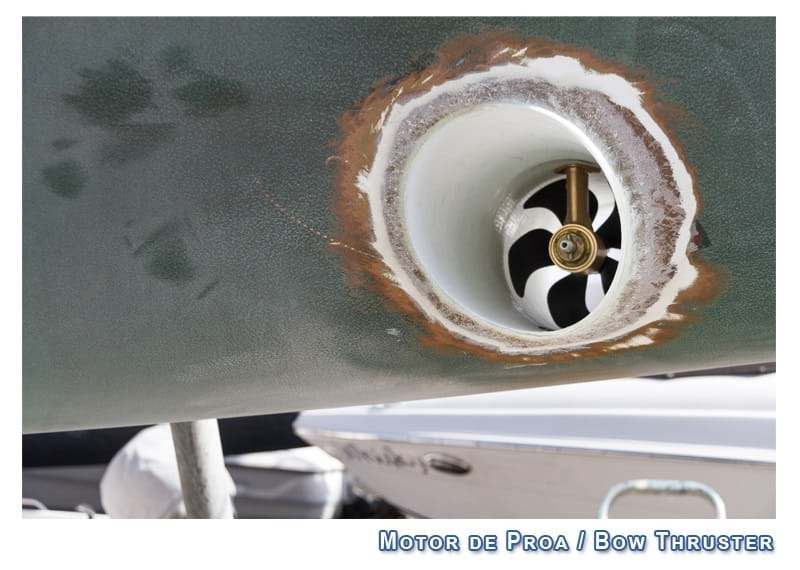 Perhaps you've felt some difficulties maneuvering with side winds or currents in the middle of pontoons, unable to put the bow in the right place? We have several teams prepared and equipped with tools suitable for the accomplishment of this type of intervention. The experience of fiber and electricity technicians with specific training, with the advanced technology of the best brands in the market, contributes to the full satisfaction of our customers. We are qualified and equipped to satisfy all the needs of any sailor. We have at our disposal specialized facilities as well as a lifting platform to perform any work on your mast, shrouds or accessories. We represent the best brands in the market and we try to focus always in the satisfaction our customer`s needs. 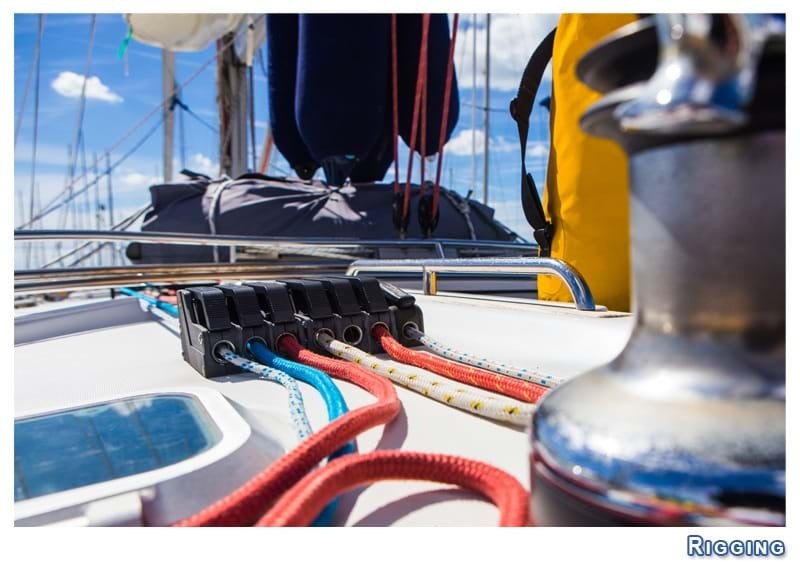 From sports to recreational navigation, craft or professional fishing, we supply ropes and rigging. From simple to the most demanding repairs, whether clipping or sewing, be it a new sail or a boat cover to provide shade or protection for your boat, our specialized technical team has a high & qualified level of experience in all aspects, from repair to manufacture. Our technicians rely on high-tech materials, the best brands and the highest quality to ensure a top end service and product. Osmosis is the largest fiberglass problem, as well as being an aesthetic trouble. A hull affected by osmosis can lose up to 30% of its strength and lose performance in case of high-performance boats. 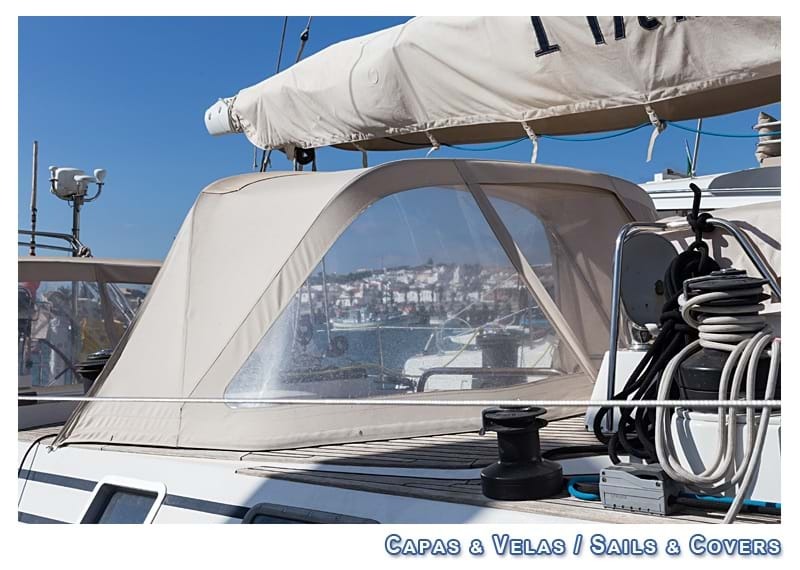 In the Nautical Center we have available diagnostic machines for detection and measurement of moisture, as well as specialized tools and equipment to repair the hull of your vessel. Extensive experience over the years contributes to a high quality standard in the execution of our services. We offer top quality carpentry. Our team of professionals, of recognized ability, have skills and experience for any marine or industrial work. Being either a small sailing boat or a powerful yacht, a minor repair or a total refit, our professionals can advise you on the best solutions, with innovative ideas and a wide range of materials, from interiors, bounderies to hull repairs. the best look and the use of the best and most suitable materials for each purpose.